Renowned Danish IT professor to play a leading part in a major Swiss investment in Big Data research. Professor Christian S. Jensen of Aalborg University’s Department of Computer Science has been appointed to preside over the steering committee that will grant over 172 million kroner to new projects in the coming years. 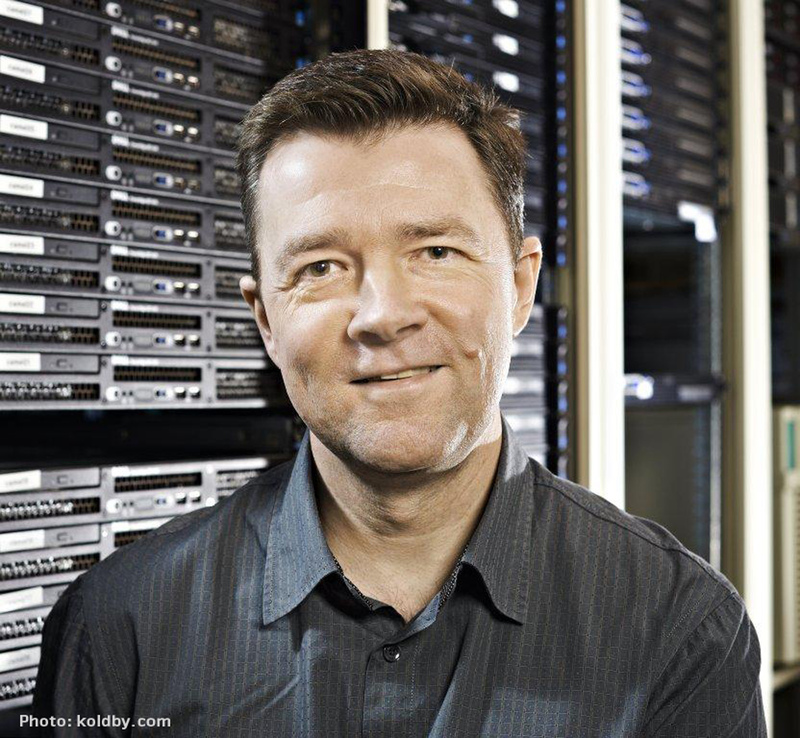 The Swiss National Science Foundation has appointed the head of AAU’s Center for Data-intensive Systems as the leading figure in the research program NRP 75 Big Data. In this influential role, Christian S. Jensen assumes key responsibilities when 25 million Swiss francs (DKK 172.4 million) are to be distributed to Big Data projects. "The main aim is to develop new technologies that exploit the enormous amounts of data available. Switzerland is in an excellent position to play a leading role thanks to a highly educated population, a well-developed infrastructure and an outstanding business environment," says Christian S. Jensen. "First of all, the amount of data has exploded: According to an industry estimate, 90 percent of all current data has been created in the past two years. Nothing similar has ever happened before. At the same time, we have never before had a more capable computing and communication infrastructure. This offers new opportunities to create value from data, economically as well as socially. Big Data combines fundamental technological questions with the potential for applications in many different areas," explains Christian S. Jensen in an interview on the occasion of his appointment, available on the Swiss National Science Foundation’s website. He will also be confronted with citizens' concerns for security and privacy protection in the age of Big Data. An old scandal where authorities kept secret files on individuals has made the population in Switzerland all the more skeptical of data collection. In any case, it is an area on Christian S. Jensen’s radar because it could otherwise curb the judicious use of the large amounts of data. "Managing the ownership of data and finding useful ways to share it are major challenges. On the one hand, we have to be able to protect data because it can be traced back to or represent a value for its owner. On the other hand, by sharing data we create additional value from it. We as a society have to strike a balance between sharing data and protecting data. I think we should have an open debate on this," says Christian S. Jensen. Christian S. Jensen (download photo) is an ACM Fellow and IEEE Fellow and a member of Academia Europaea, the Royal Danish Academy of Sciences and the Academy of Technical Sciences (ATV). He has previously been associated with the University of Arizona, the University of Maryland and Aarhus University and was a guest researcher at Google Research in the United States during a leave of absence from AAU. Learn more about Switzerland’s National Research Program Big Data NRP 75. Interview with Professor Christian S. Jensen on the occasion of his appointment as head of the steering committee. The organization also includes researchers from Italy, Finland, Germany and Switzerland. Christian S. Jensen, Professor, Center for Data-intensive Systems, Tel. : + 45 9940 8900, mobile +45 2014 5250.